Performance meets comfort with the Level Fly Protection Trigger Glove. The water resistant fabric and Kevlar reinforcement make this a durable and prepared glove. A knitted brush interior and Membra-Therm insulation make for a cozy and warm experience. 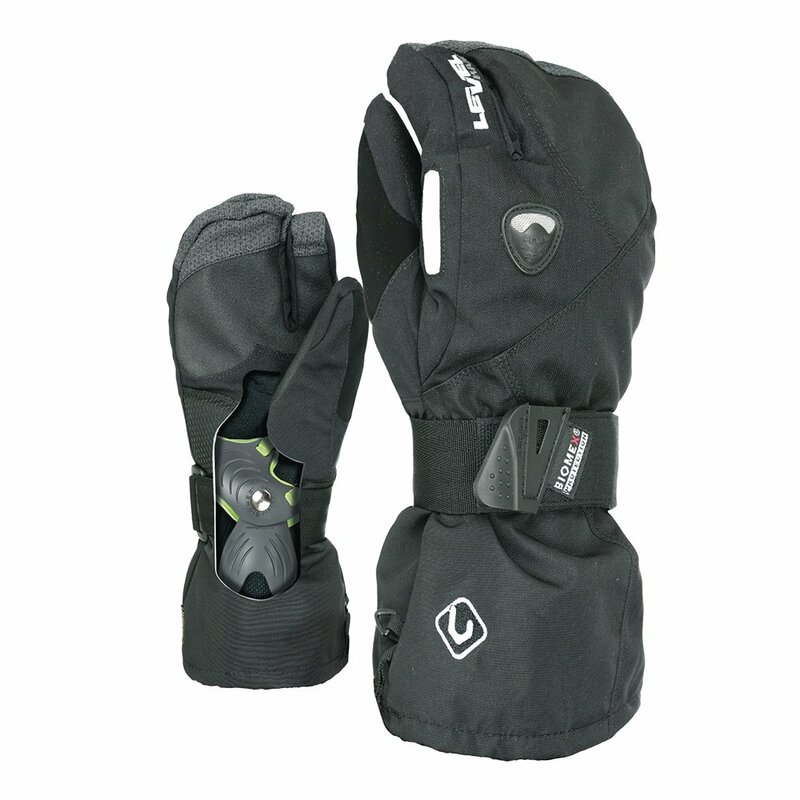 The long cuffs make it easy to pull over a jacket for protection against harsh elements. The Level Fly Protective glove is sure to bring you satisfaction when you're pushing the limits of outdoor exploration. "Hello, should I buy this gloves in bigger size than usual measure size? (Because of the build in wrist guard.)" "The Level Fly Protection Trigger Glove runs true to size. No need to go up a size. Hope this information helps!" "Hey, how is the Kevlar reinforcement? Is it all around the hand, or just in the palm? Thanks!" "Thank you for your inquiry. The Kevlar reinforcement is a removable supportive insert helps to absorb impact. The Biomex wrist guards are only located on the inner wrist and palm. We hope this information helps! "